Properties in Kyoto average 4.3 out of 5 stars. A charming cluster of 5 renovated trad modern houses, Max 30 ppl, "Uan/Hana"
Property 8: A charming cluster of 5 renovated trad modern houses, Max 30 ppl, "Uan/Hana"
Prime Location - Sweet Traditional Home Away From Home, Family friendly! Property 10: Prime Location - Sweet Traditional Home Away From Home, Family friendly! Property 15: TSUBARA - a restored 90 year old Machiya -Elegant.Calm.Lovely- So close to Gion! Property 23: Spacious&Clean. Near Kyoto sta. Komachiya Kyoto traditional townhouse near Gion- with perfect location! 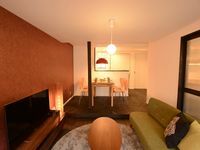 Property 25: Komachiya Kyoto traditional townhouse near Gion- with perfect location! Downtown Kyoto Machiya - BEST LOCATION!! Property 27: Downtown Kyoto Machiya - BEST LOCATION!! A guest house that renovates an old townhouse in Fushimi-Inari, Kyoto.One of all three rooms.Room for up to 2 people. Property 28: A guest house that renovates an old townhouse in Fushimi-Inari, Kyoto.One of all three rooms.Room for up to 2 people. 3min to Station "Kiyomizu Vacation Stay"
Property 29: 3min to Station "Kiyomizu Vacation Stay"
Guest House10min to Kitano Tenmangu! Property 31: Guest House10min to Kitano Tenmangu! A guest house that renovates an old townhouse in Fushimi-Inari, Kyoto.One of all three rooms.Room for up to 4 people. Property 41: A guest house that renovates an old townhouse in Fushimi-Inari, Kyoto.One of all three rooms.Room for up to 4 people. This apartment hotel faces Kitayama-dori in Kyoto.From Karasuma Line Kitaoji Station on the city bus [North 1] [Jenetajimae] bus stop and get off at the opposite building. Property 43: This apartment hotel faces Kitayama-dori in Kyoto.From Karasuma Line Kitaoji Station on the city bus [North 1] [Jenetajimae] bus stop and get off at the opposite building. We absolutely loved our stay in Kyoto. Masaru provided lots of handy information about the area and he was quick to respond to questions that we had. The townhouse was stunning and we loved the mix of tradition and modern features. The heating worked really well over the colder nights and we felt very cosy. 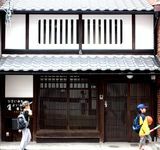 The townhouse is also situated in an amazing traditional part of Kyoto. Kei san was an excellent host and the house was clean and comfortable. The location was fabulous. I can fully recommend staying here.